Take a tour of the historic places of the city of Pune and understand their involvement in the city's rich history. Visit the famous landmarks of Pune, like Lal Mahal, Mahadji Shinde Chhatri, National War Museum, Shaniwar Wada and many more during this tour. Experienced chauffeur to drive you around. Service of a well-maintained air-conditioned car. Situated in the Western Indian state of Maharashtra, Pune is a rambling city. Initially, Pune was known as the pensioner’s bliss which basically means home for those who need a peaceful life, away from the hustle and bustle of the city. Now Pune is a fast-growing hub for entertainment, education, information technology, and industries. But what makes Pune a slightly special is its famous hill stations, forts, adventure locations, and pilgrimage spots. 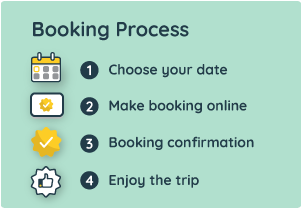 The tour begins with the pick-up from your hotel/residence in Pune city limits at your preferred timeslot (select while booking). Lal Mahal: The Lal Mahal of Pune is one of the most famous monuments located in Pune. In the year 1630 AD, Shivaji Maharaj's Father Shahaji Bhosale established the Lal Mahal for his wife Jijabai and son Shivaji Maharaj. Mahadji Shinde Chhatri: It is a memorial dedicated to the 18th-century military leader Mahadji Shinde who served as the commander-in-chief of the Maratha army under the Peshwas. National War Museum: It is the only museum which has been constructed by the contribution of the public. It is the memorial to the martyrs post-independence of India. Nana Wada: It is one of the oldest structures of the city and was built by Nana Phadnavis, the chief administrative officer of the Peshwas in the year 1780. Vishram Baug Wada: Vishrambaag Wada, a fine mansion situated at central Pune's Thorale Bajirao Road, was the luxurious residence of Peshwa Bajirao II, the last Peshwa of Maratha confederacy. Mahatma Phule Wada: Built in the year of 1852 it was the home of Mahatma Phule, and is now converted to a museum now. Mahatma Phule played an important role in girls education and his wife was the first female teacher. Savarkar Smarak: Swatantryaveer Savarkar organized a bonfire of foreign clothes to inspire people to fight for our country’s freedom. A memorial capturing the event at the same location has been created. Aga Khan Palace: This structure played a major role in the freedom struggle as it acted as a prison to Mahatma Gandhi and his wife Kasturba Gandhi. This was built in the year of 1892 by Aga Khan III. Shaniwar Wada: Shaniwarwada is a historical fortification in the city of Pune in Maharashtra, India. Built in 1732, it was the seat of the Peshwas of the Maratha Empire until 1818. The guests may stop for lunch during the tour at a place of their choice. At the end of the 8-hour tour, the guests will be dropped back to the hotel/residence within city limits. The tour has a time limit of 8 hours. After 8 hours, additional per hour charges are applicable (to be paid directly to the driver). For Sedan (4-seater) Rs 150 per hour (additional hour charges). For SUV (6-seater) Rs. 200 per hour (additional hour charges).